Although Rian Johnson made a lot of bold, risky decisions in Star Wars: The Last Jedi, one of the biggest had to do with Supreme Leader Snoke, who still remains a mystery racking the brains of fans everywhere. Another apprentice? Now, this could be someone who came before Kylo Ren and was killed or vanished. He or she could be meaningless in the greater Star Wars universe, but something tells me that won't be the case. For one thing, this entry is official canon, created by the Lucasfilm Story Group itself. It doesn't get more official than that. Here's a screenshot via Slashfilm. Right, so my thinking on this takes me back to a crucial point in the movie, when Luke Skywalker is recounting to Rey the night that confronted Kylo Ren. He said that he was knocked unconscious, and when he awoke, Kylo had burned their school to the ground, killed some of the apprentices but made away with others who joined him in the First Order. These would be Force sensitive students, obviously, but we've seen nothing of them yet. Maybe they're mentioned in some novelization somewhere, but I don't know. Doubtful. It's possible they became the Knights of Ren. 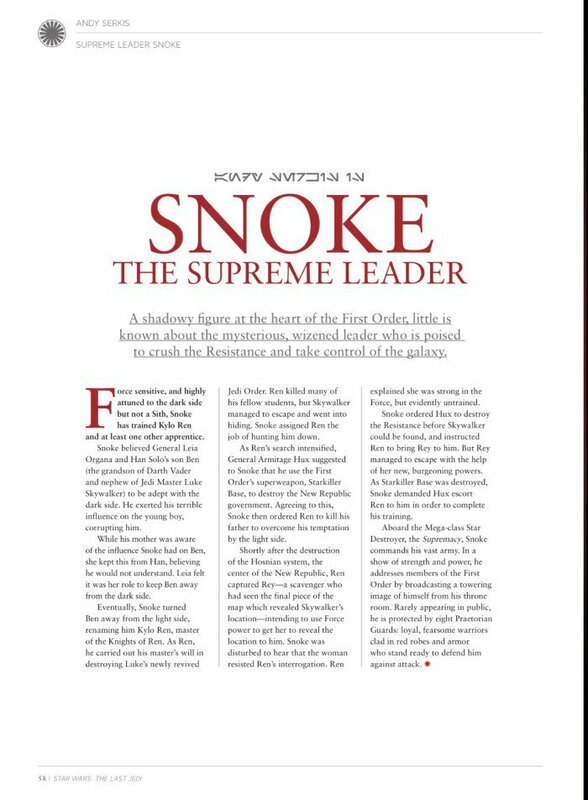 Could one of them be this other apprentice who fell to the Dark Side and was trained by Snoke? Or is it possible this other apprentice has turned towards the side of good, and is making their own journey to seen in Episode 9? I kinda hope that's not the case because it would take away from Rey and Kylo Ren's story, but I know this isn't some random thread that will never be picked up on. One thing Star Wars is really good at is following through on every minor detail and turning it into a story, and this is no minor detail.